Sometimes I really just cannot pick what will be popular & resonate with you all. I do wish my crystal ball was a little more efficient. Plus as I just write & have no clue about SEO, sometimes, for me, it is the most unlikely posts that are the most popular. And the most popular of all time? Well that would be Pumpkin Feta & Filo Pastry from way back in August 2011, & not just by a little but, a runaway winner. Each month it stays right there at the top, & extends its popularity little by little. Cake, Soup & Salad…I would call that balanced. 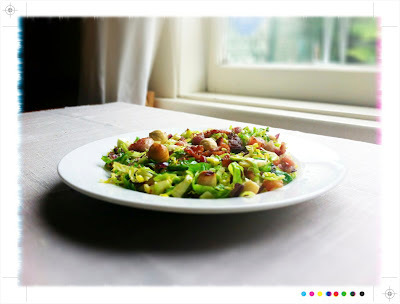 And so very happy to see the poor maligned Brussels Sprout make it in to the top 10! This is my second most popular post of all time. So here’s hoping you still like home baked bread (who doesn’t?) & that you like this version of the focaccia. The addition of kumara makes it a little sweeter & a wonderful golden orange hue. Place the warm water in a large bowl or in the bowl of an electric mixer. Sprinkle over the yeast & let it stand for a couple of moments. Mix in the mashed kumara & 2 tablespoons of olive oil. Next add the flour & salt and mix well together until the dough starts to come away from the sides of the bowl. Turn the dough out on to a floured surface & oil your hands as the dough will be quite sticky & loose, especially in the hot summer weather we are having here at the moment. Knead the dough about 30 times & place it in to a lightly oiled bow. Cover it with a clean tea towel & leave it in a warm cosy spot for 3 to 4 hours or until it has doubled in size. If you are wanting fresh baked bread first thing in the morning pop it in the fridge overnight. When you are ready to bake your focaccia pre heat your oven to 200C / 390F. Turn out the risen dough on to a floured surface & shape it in to a ball. Place the ball on a baking tray lined with baking paper & press the dough out in to a long oval shape. With your fingers make little dimples all over the surface of the dough. Scatter over the rosemary leaves, sprinkle with salt & drizzle with olive oil. Place in the oven & bake for 20-25 minutes until golden & cooked through. To test if cooked use the tap test. Tap the focaccia & if it sounds hollow it is ready. Remove from the oven & allow the bread to cool. This bread is perfect for a Summer BBQ or as part of a platter of breads & dips, maybe with a little hummus scattered with dukkah & a drizzle of olive oil on the side. Or of course the classic a little butter. The almost fresh pine like rosemary is wonderful combined with the sweet kumara & as a salt lover I love that little crunch & salty kick from the sea salt. I can never pick them either, Mairi - it is always a surprise which posts have been popular. Also the fact that the second highest source of my readership, after the US, is Russia - go figure?!! 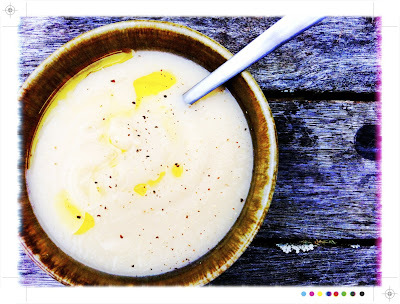 What would not be a surprise would be for this post to be featuring in your 2013 top ten - looks fabulous, and as I love anything with kumara in it I will definitely be giving it a try. Oh yes, the surprising stats. My top two posts of all time have an international theme: a post about Japanese quinces and a recipe for Portuguese custard tarts. Your top ten list has me salivating. I'm particularly interested in the haloumi and chorizo salad -- there are so many wonderful fresh chorizo choices out there now. I hope you have another inspired year for 2013. Thanks Sue, wishing you a wonderful 2013 too! I think I will just continue to cook what comes to mind as trying to pick what will work is nigh on impossible!! 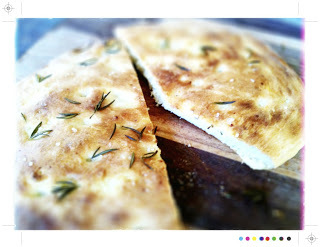 I have been searching for focaccia recipe, yours looks simple and delicious. We love sweet potatoes. I will bake it since it's one of your best recipe :).